A SPECIAL tribute has been paid to JCB employees who have clocked up more than 1,500 years service between them. 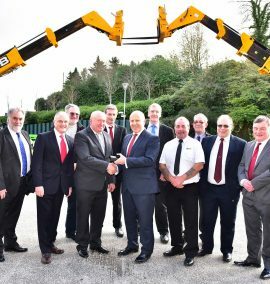 A total of 66 long-serving employees were honoured at a VIP lunch and presentation ceremony at JCB’s World Headquarters in Rocester. At the lunch employees who were celebrating 20, 40 and 45 year service milestones were each given a company gift - ranging from city breaks to designer watches and bracelets - in recognition of their loyalty and commitment to JCB’s success. 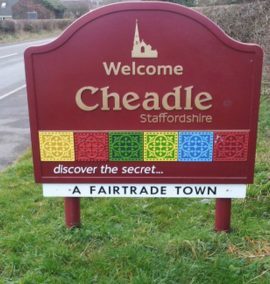 COUNCIL tax is set to rise for families in Cheadle and the wider Moorlands. 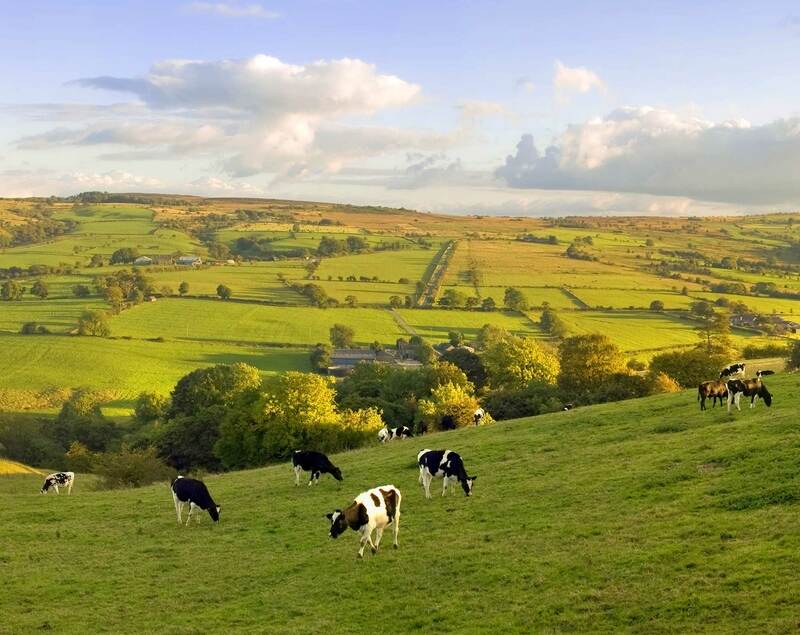 Staffordshire Moorlands District Council has set its budget for providing essential services at £9.8m for the coming year. A council tax increase of 2.9 per cent has also been agreed – setting Band D payments at £150.54 for 2019/20. 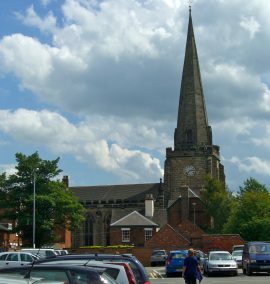 Is it old life for ‘Newlife’ in Uttoxeter? THE future of a much-loved charity shop in Uttoxeter is hanging in the balance as the charity looks for alternative premises. The search is on by Newlife Charity, which has a charity shop in Uttoxeter's High Street, for new premises as their lease on the current venue has come to an end. One shopper, who wished not to be named, told the Times & Echo that she has written to the trustees of the charity asking them to reconsider their apparent decision to close the store, after she has heard it is closing on March 31. SIXTH form students from the Moorlands are set to record a charity single in memory of a teacher. 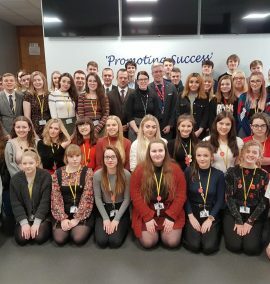 Teenagers at Cheadle Academy Sixth Form College have been singing in supermarkets to raise funds for the North Staffordshire Douglas Macmillan Hospice which provides care for patients diagnosed with any life limiting illness and their families. Since December 2017, the choir has raised an incredible £14,500 for the charity which is locally known as the “Dougie Mac”, and will now record and release a song with help from Staffordshire University and performer Jonathan Wilkes. A MUSEUM is set to re-open this Spring after an extensive refurbishment. 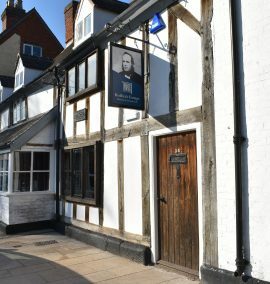 Redfern's Cottage Museum of Uttoxeter Life has been closed since Christmas 2016 to allow for the refurbishment at the Carter Street venue to be carried out. The heritage centre is soon set to offer a small self-service cafe, a community life zone, and seven interactive galleries on domestic life, the civil wars, markets, religious dissent and the making of the modern town as well as an interactive and sensory garden. 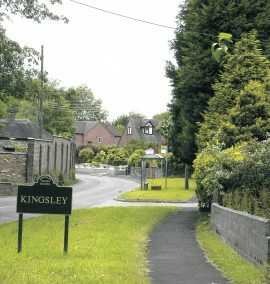 FOUR bus services in a Moorlands village are being cancelled this Spring – due to “inconsiderate parking.” Community leaders in Kingsley have, since November, held meetings in the hope of saving the bus services which go through their village at school drop-off and pick-up times. But despite sending notices to parents about parking issues outside St Werburgh's School, no improvement has been made. The journeys being withdrawn by First Potteries, as of April 8 are: 8.39am from Kingsley to Hanley; 8.47am from Kingsley to Cheadle; 3.11pm from Kingsley to Cheadle and; 3.14pm from Kingsley to Hanley. 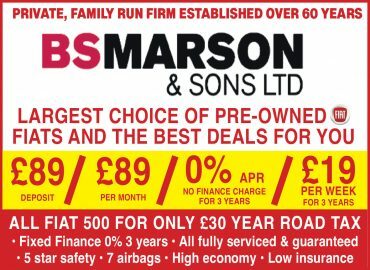 A COUPLE from the Moorlands have come up with the 'perfect travel companion' for parents of small children. Sam, aged 27, and 26-year-old Sheridan Mellor, who live in Foxt, have invented the BrumBaby – a portable sleeping aid for youngsters which plays soothing lullabies and can be taken out and about due to it's compact design. 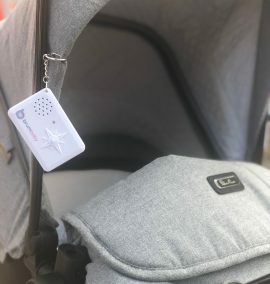 The couple, who have two children two-year-old Mollie and Mason who is six-months-old, came up with the concept for BrumBaby after their eldest had a troublesome journey back from a family trip out. PHOTOGRAPHS of tourist attractions are being used to promote train travel. 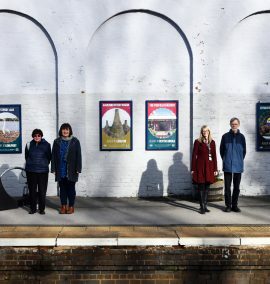 The images, taken by members of Blythe Bridge Camera Club, have been used in a poster campaign at stations along the North Staffordshire line. Six posters have been created for stations along the Crewe-Derby route, showcasing attractions within walking distance of each stop. The photographs were commissioned by the North Staffordshire Community Rail Partnership and funded by East Midlands Trains. A YOUNG dancer from Cheadle is to perform with the English Youth Ballet. Emily Laws, aged 10, is a student at Miss Kym's School of Dance in Uttoxeter and was chosen to join the professional company for three performances in March. Emily was one of 150 young dancers from across the Midlands to audition for a place in the production of Giselle which will be staged at the Regent Theatre in Stoke-on-Trent. A SKATE coach from Uttoxeter has been named Sports Coach of the Year at a prestigious borough ceremony. 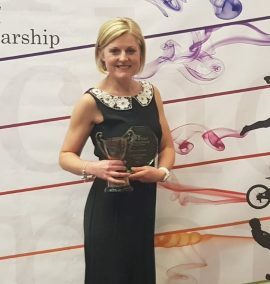 Clare Hudson, from Uttoxeter, received the award at a glittering event hosted by East Staffordshire Borough Council on Friday night. The ESBC Sports Coach of the Year title is given to qualified coaches who have made an impact in their sport by increasing participation or improving individual or team levels and being committed to the highest standards of coaching. 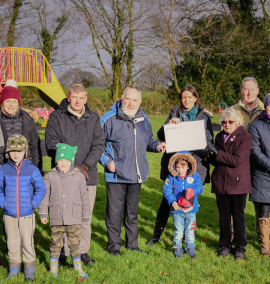 A DONATION of more than £23,000 will help fund new play equipment for village children. Money raised from the sale of the former Kingsley Youth Club has been gifted to Kingsley Holt Community Fund for the new kit. A cheque for £1,000 has also been presented to Kingsley Village Hall for fire doors at the rear of the building. A COMMUNITY centre has re-opened after a refurbishment. 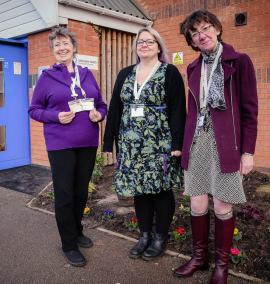 The Heath Community Centre in Uttoxeter has had a refurbishment and now hosts even more activities than before. The Holly Road venue's grand re-opening celebration took place on Sunday, January 27 and visitors were invited to take a look around the newly upgraded centre to be able to discover all it has to offer to the community.